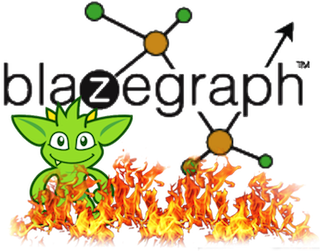 We’re very pleased to announce the the release Blazegraph 2.0.0. 2.0.0 release is a Major release of Blazegraph. There are some very exciting changes for query performance, load performance, improvement deployment options, migration to maven, moving to github, and many more. This lays the foundation for new features with Tinkerpop3 support, GPU Acceleration, etc. Download it, clone it, have it sent via carrier pigeon (transportation charges may apply). Find a bug, hit JIRA. Have a question, try the mailing list or contact-us. We love Sourceforge, but today it’s important to be on github as well. This release will be on both Github and Sourceforge. We’ll continue to use Sourceforge for distribution, mailing lists, etc., but will migrate towards Github for the open source releases. We’ve implemented Symmetric Hash Joins and provided a number of improvements and new features for query performance and optimizations. For those of you that followed Dr. Michael Schmidt’s excellent posts on the 1.5.2 features. These improvement represent a continuation of this work. Let us know how it works for you. As always, query optimization is a place where we’d love to help you get your application tuned for the best performance. Blazegraph 2.0.0 is now on Maven Central. You can also get the Tinkerpop3 API and the new BlazegraphTPFServer. Tinkerpop3 is here! Get it from Maven Central. The Blazegraph-Based TPF Server is a Linked Data Fragment (LDF) server that provides a Triple Pattern Fragment (TPF) interface using the Blazegraph graph database as backend. It was originally developed by Olaf Hartig and is being released via Blazegraph under the Apache 2 license. See here to get started. Everybody loves (and hates) Maven. Starting with this release, Blazegraph has been broken into a collection of maven artifacts. This has enabled us to work on new features like TinkerPop3, which require Java 8 support while keeping the core platform at Java 7 to support users who are still there. Checkout the Maven Notes on the wiki for full details on the architecture, getting started with development, building snapshots, etc. If you have a 1.5.3 version checked out in Eclipse, you will want to pay attention to Getting Started with Eclipse and allocate a little extra time for the transition. Starting with the 2.0 release, default service context is /blazegraph, i.e. http://localhost:9999/blazegraph/. This is setup to redirect from /bigdata. We are continuing to provide the bigdata.war and bigdata.jar archives, which by default point to /bigdata as part of the distribution, but this will be discontinued at some point in the future. We encourage all users to migration to the /blazegraph context with this release. If you are currently using a serviceURL like http://localhost:9999/bigdata/sparql and want to continue, you’ll need to use bigdata.war, bigdata.jar, or customize the jetty.xml for your deployer. If not, they new default serviceURL is http://localhost:9999/blazegraph/sparql. 2.0.0 provides Debian Deployer, an RPM Deployer, and a Tarball. In addition to the blazegraph.war and blazegraph.jar archives. We will be releasing published benchmarks for LUBM and BSBM for the 2.0.0. release. Starting in release 2.0.0, the Scale-out and HA capabilities are moved to Enterprise features. These are available to uses with support and/or license subscription. If you are an existing GPLv2 user of these features, we have some easy ways to migrate. Contact us for more information. We’d like to make it as easy as possible. There also many other features for improved data loading, building custom vocabularies, and many more that will be coming out in a series of blog posts over the next month or so. Please check back. Stay in touch, we’d love to hear from you. This entry was posted in Blazegraph Release on December 22, 2015 by Brad Bebee.